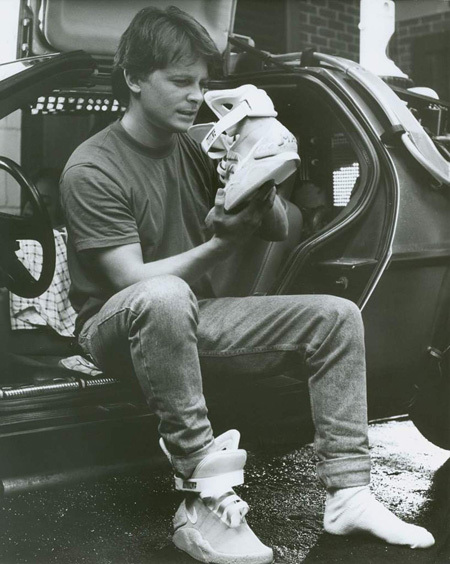 Nike has announced that it will release detailed replicas of the futuristic shoes worn by Marty McFly in Back to the Future II. 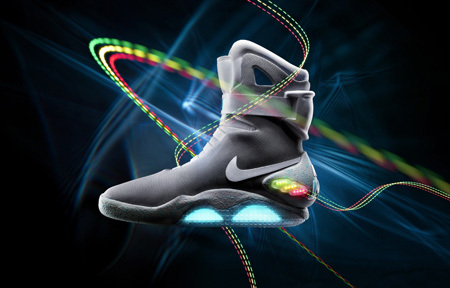 Equipped with glowing LED panel and electroluminescent Nike logo in the strap, the shoes will illuminate when you pinch the “ear” of the high top. 1500 pairs of sneakers will be auctioned on eBay with all net proceeds going directly to The Michael J. Fox Foundation for Parkinson’s Research. 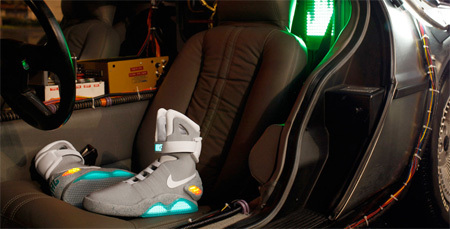 The auction starts today and will end on September 18, 2011.
these shoes make me proud! It’s always funny to me when they say in a situation like this that the auction ends on a certain day, doesn’t end when all the shoes are gone? 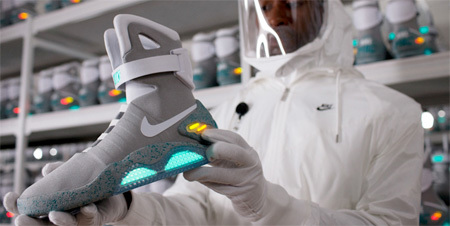 i will marry anyone i see wearing these in the street. 1500 pairs total. 150 being auctioned off each day for 10 days. after that. the end. I love that it is for a charity I looked on ebay and some are going for 11,000 and still have 10 hours left to go. Its a great idea. I SO ‘NEED’ THESE! AS ALSO THE 2015 VERSION! Looking FFWD seeing the price$! Laces? 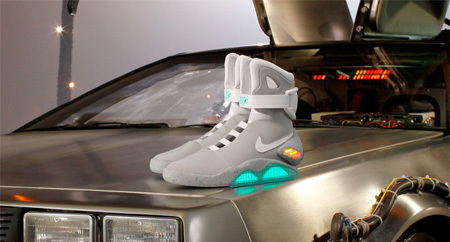 Where we’re going, we won’t need laces! How many children from the third world countries does it take to make a pair of these?